Battle for Azeroth is almost here and our BFA leveling guides is complete, we’re in the process of testing guides to make sure it’s running as smooth as possible on day one for you and will be releasing within the next few days so stay tuned! It’s a groundbreaking premium gaming mouse engineered here in Christchurch, New Zealand (where I’m living). 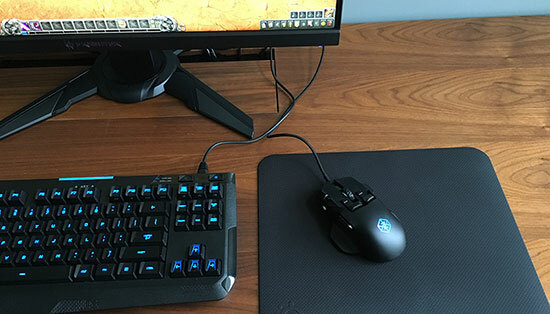 With Swiftpoint Z mouse, I was able to greatly reduce my keybindings on the keyboard and use the mouse buttons instead to dominate in World of Warcraft. 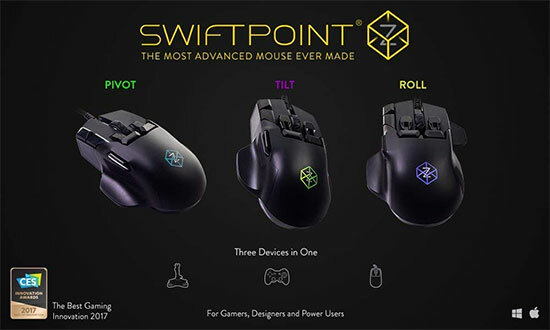 It’s the world’s first mouse to pivot, tilt, and roll, with a brand new way of clicking buttons – meaning you can access dozens of different button actions while barely moving your fingers. The Swiftpoint Z also senses how hard you click, giving variable speed / force control, and provides tactile feedback, so you know when you’ve made a ‘deeper click’. Ok that’s great Dugi, but why are you promoting this to me? 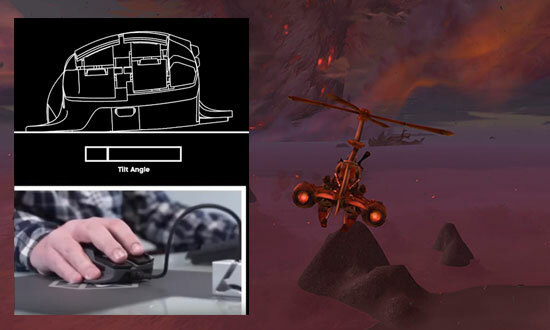 The Swiftpoint Z, is launching into the WoW community and it’s being backed by the top guilds, Max from Limit and Xirips from Method have been using one in the BFA Beta and are absolutely loving it. I am really blown away by this device and because I know the people that work with Swiftpoint personally I was able to get you a special discount code reserved for WoW players. This is a paid promotion but I totally stand by this mouse just like the thousands of people backed this on kick starter and you can read tons of great reviews on Amazon and YouTube, you can ask me any questions about it. This offer is only available until the Launch of BFA so you have less than 10 days to take advantage of this offer. This is the ultimate gaming mouse that you can use for FPS, MMO, even Flying and Driving games. If you’re looking for the latest and cool tech, take a moment to check out their page, read some reviews and jump on the deal if you’re interested! 22 replies to "My new secret weapon for Battle for Azeroth"
I am totally loving my new Swiftpoint Z Thanks Dugi for the promotion of it. I have the z mouse, just got it today but I bought it with your promotion code. When I bought the page said it would come with profiles for wow, was just wondering where to get them. They should have sent you a welcome email and it had the info and link in it for the profiles. It works by mimicking your keyboard buttons or combinations of like Shift-x etc. I ordered en received the Z. Now I am hoping for people to upload profiles for the different classes of WoW. Especially for rotations. Up till now, there is only 1 basis WoW profile placed on the community of Swiftpoint. I ordered one yesterday. Do you have an estimate of how long until it arrives with the free shipping to the united states? I can’t find any info on this. great looking mouse and I would def be interested IF it was at least ambi if not providing a lefty version. I get that it’s tough to roll out a lefty version with a new product. We’re used to being overlooked, but it sure would be awesome if new designs would at least give ambidextrous use a thought. I know you’re not the designer, but if you wanted to pass this along that would be great. Meanwhile, I’ll be over here looking forward to my BofA Dugi guides! Awesome looking mouse Dugi, nice find, I’ll defiantly look at buying one. Hold up, how does $149 turn into £199? I know the UK economy isn’t doing too good at the moment but our currency is still stronger than the dollar. That $149 to UK including shipping should be closer to £120. I’m looking at this mouse and wondering if they come in a left-handed or ambidextrous version. If not, i’ll be sticking with my razer deathadder lefty. This looks like the the bizz . So we´re paying a fee just to get spamed with ads? I don´t care if you like that product. I didn´t sign up for spam. Yep, I bought this mouse as part of the kickstarter support team and it is amazing. One thing if you are going from a reasonably simple mouse to this then get it early and spend the time learning it. I had a steep learning curve getting used to the huge amount of features it supports but it is worth it! Looks like a great product … but my prime question is will it work on a Mac? I have tried a 5 button mouse before to no avail so have been playing with just the old tried and true 3 button Logitech mouse. yes Mac driver is available.